We offer bespoke tours where you can choose which venues you prefer to visit amongst those offered on this website and/or other places, experiences or activities of personal interest required. As I am an Official Seville Tour Guide, I am authorized to show the public around Seville’s historic monuments. 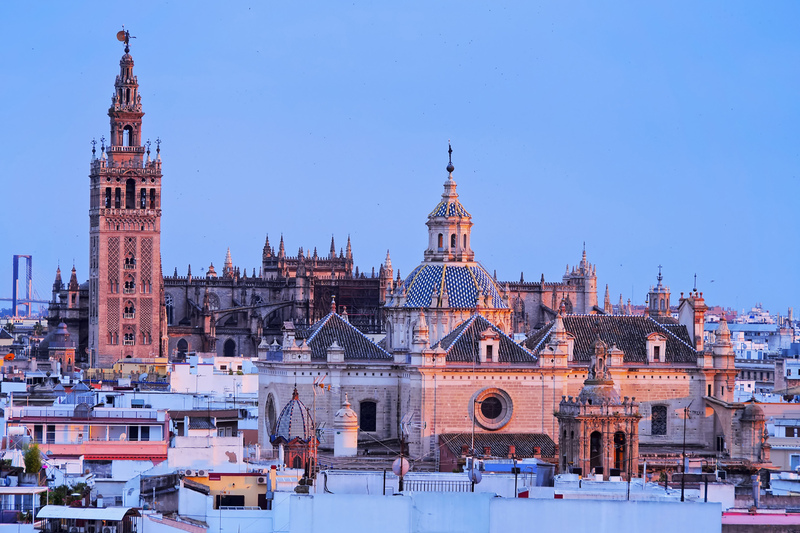 Therefore we can discover Seville’s gems together and enjoy an appealing stroll around this historic city. You can organize the tour as you wish. I will advise you on the main places of interest the city has to offer in order to best suit your needs and you decide what you would like to discover. I will suggest places such as the Cathedral and its Giralda Tower, the Reales Alcázares, the Plaza de España and Maria Luisa Park, Triana, Santa Cruz, Salvador church, the Plaza de Toros (Bullring), the Guadalquivir River, the Torre del Oro, the Casa de Dueñas and the Metropol Parasol (better known as ‘the Mushrooms’).